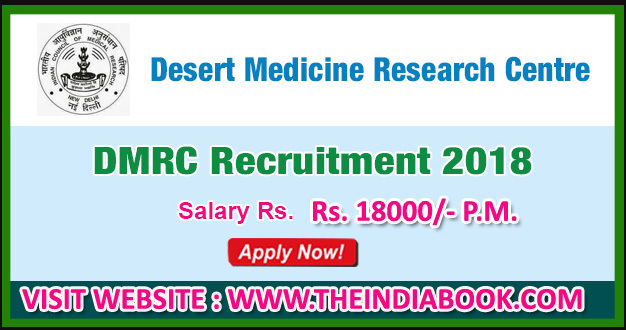 DMRC RECRUITMENT INFORMATION : Desert Medicine Research Centre (DMRC) has opened the notification Recruitment to the post of Field Worker/ Technician-III vacancies on contract basis. , Those Candidates who are interested in this Vacancies Posts , Kindly Check their Eligibility, Exam Date, Syllabus, Question Paper please read details & completed all eligibility criteria can read the Official Notification below..
fixed emoluments @ Rs. 18000/- P.M.